We offer high end name tags for special people and big events! 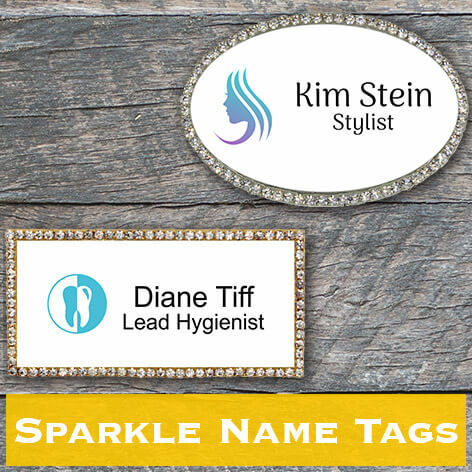 Take a step up from traditional plastic name tags with our fancy badges, featuring bling and sparkle frames, beveled edges and full color logos! 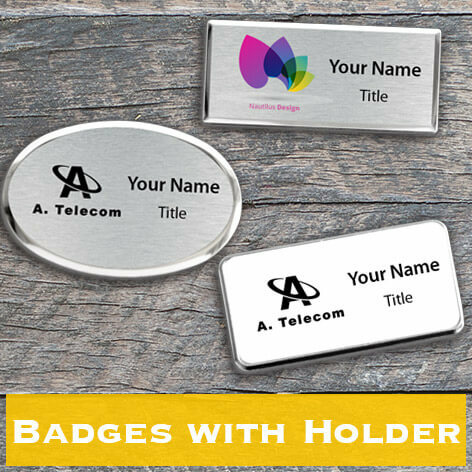 Get durable and professional badges made of aluminum that feature fancy frames and backings. Our high end name tags are made to complement your look for major conferences, trade shows and other events.